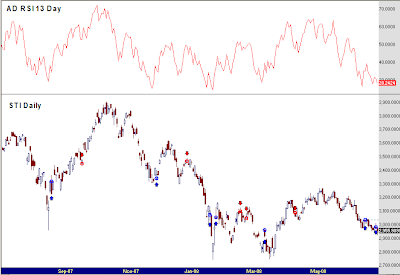 I received a request for analysis of STI using the AD line derived from the 30 stocks in the FTSE STI Index. The 13 day AD RSI is now at 28.24 level. It is certainly oversold. If you apply the technique of buying the STI index when the AD RSI rises above the 30 level, you will be 9 winners and 2 losers and 2 trades that are still opened. 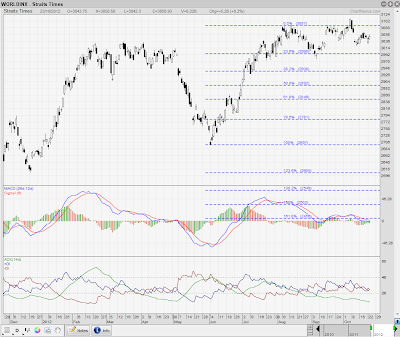 For more information on the AD RSI, please refer to my earlier post.